HOME DELIVERY IS OUR SPECIALTY * WE DELIVER to ANYWHERE !! Let us make it easy for you !! More Pics @ www.vaughnmotorgroup.com* Trades Accepted & Financing Available Nationwide*We Can Even Arrange For Shipping * Ask Us about “Gold Assurance” Protection & FREE 24Hr Road-Side Assistance. HURRY! This Pristine Automobile Offered To You By: VAUGHN MOTORGROUP- "Performance & Luxury....We Sell The Best!" With Experience You Can Count On. 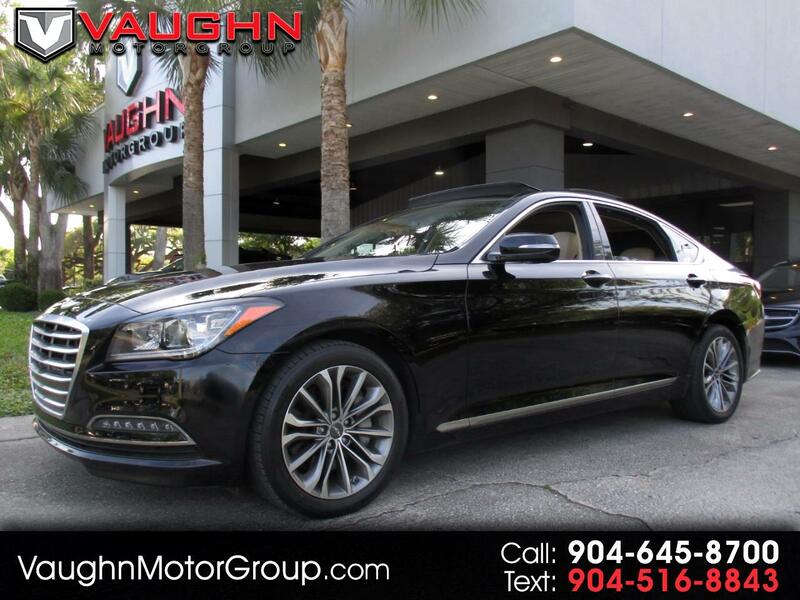 Please contact Dan King (General Manager) @ 904-645-8700 or www.vaughnmotorgroup.com (more pics!) CUSTOMER FOCUSED SERVICE Is Our Mission. Decades In The Business And Thousands Of Happy Customers Prove We`re Right. We Only Sell The Finest Certified Pre-Owned Cars, Trucks and SUVs. Don't be fooled.... WE DO NOT SELL LEMON LAW "BUY-BACKS" !! Message: Thought you might be interested in this 2016 Hyundai Genesis.